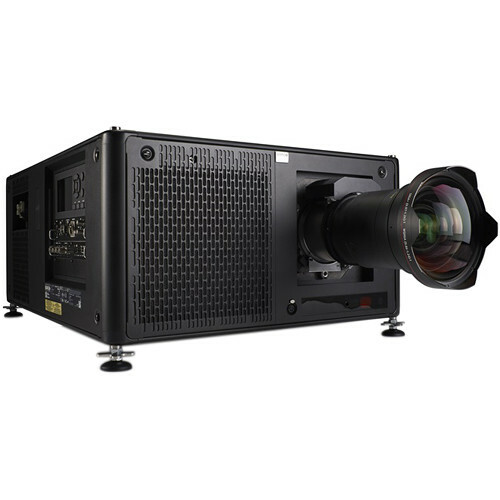 The UDX 4K22 4K UHD 20,000-Lumen DLP Laser Projector from Barco features 4K UHD resolution and 20,000 lumens of brightness with accurate colors for clear and bright images. The projector features HDMI, DisplayPort, and single HDBaseT video inputs. It is controllable via Ethernet and RS-232. The Constant Light Output (CLO) functionality provides constant brightness and color over time. Furthermore, the Barco Pulse 4K electronics offer an intuitive interface and flexible, user-friendly, embedded control software. Its SSP (Single Step Processing) allows for sharper images and less latency.